For all the cat lovers out there, Chewy is your one-stop shop for all the cat supplies you need. Check out our huge selection of cat food, cat toys and cat treats. 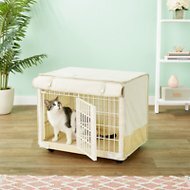 If you've been searching for plastic cat crates, look no further. 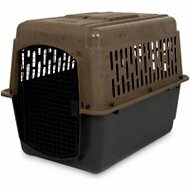 Among the wide selection we carry, one option to try is Petmate Ultra Vari Kennel for Dogs and Cats, Taupe/Black. 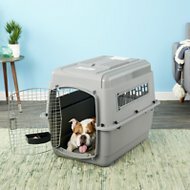 Key benefit: durable wire door keeps pets in but allows easy access to pet owner. 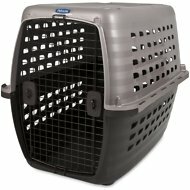 Another product is Petmate Navigator Plastic Kennel. Key benefit: nut and bolt compatible for airline travel requirements. 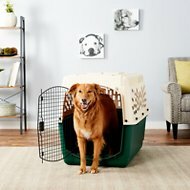 Save yourself from hauling your cat litter and cat food home from the store, and get all the cat supplies you need delivered right to your front door with Chewy. 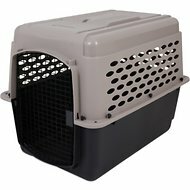 For all your pet needs including plastic cat crates, Chewy has you covered! We're here for you.